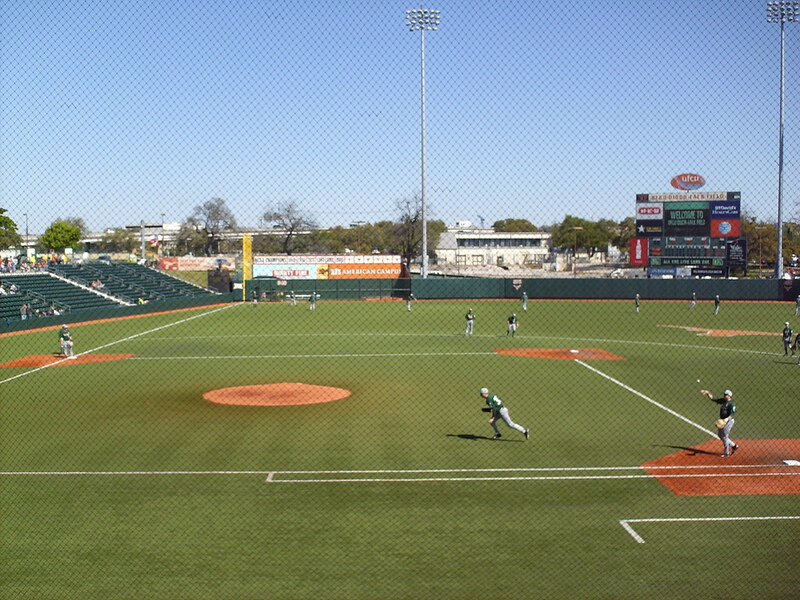 The view from behind home plate at Disch-Falk Field. 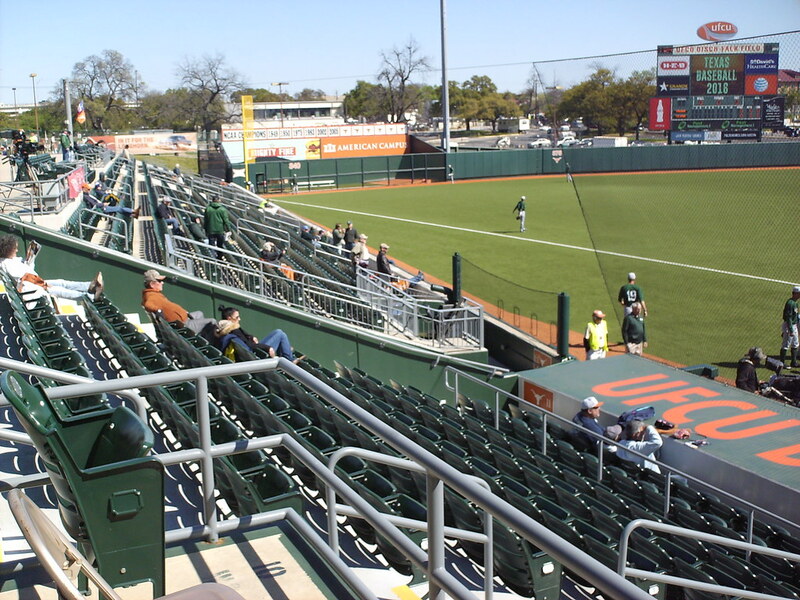 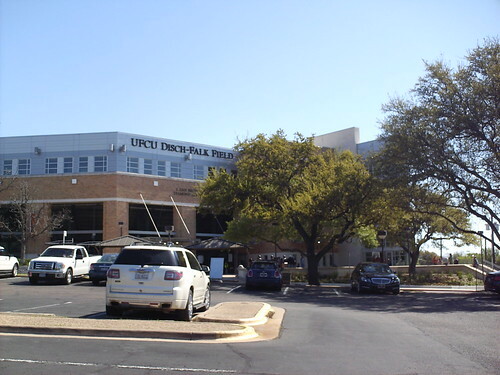 The grandstand at UFCU Disch-Falk Field, as seen from the left field corner. 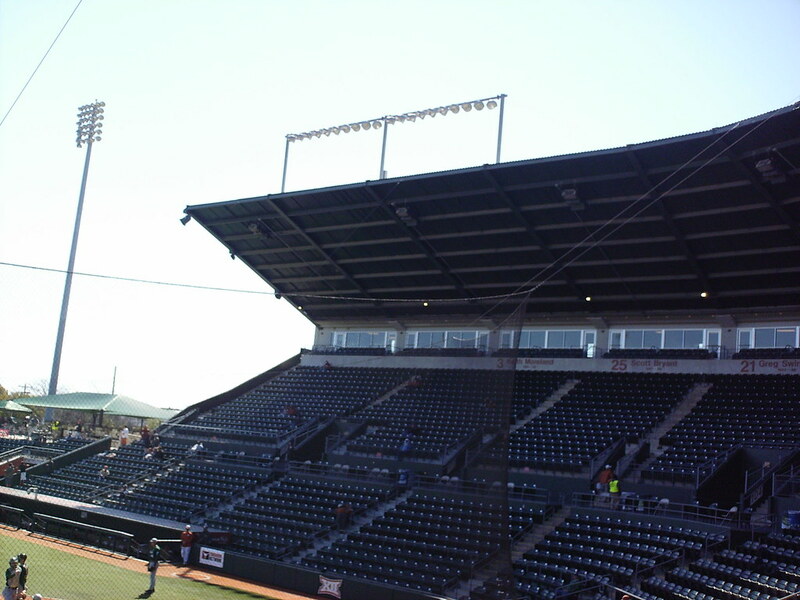 Light banks are perched on the edge of the cantilevered stadium roof. 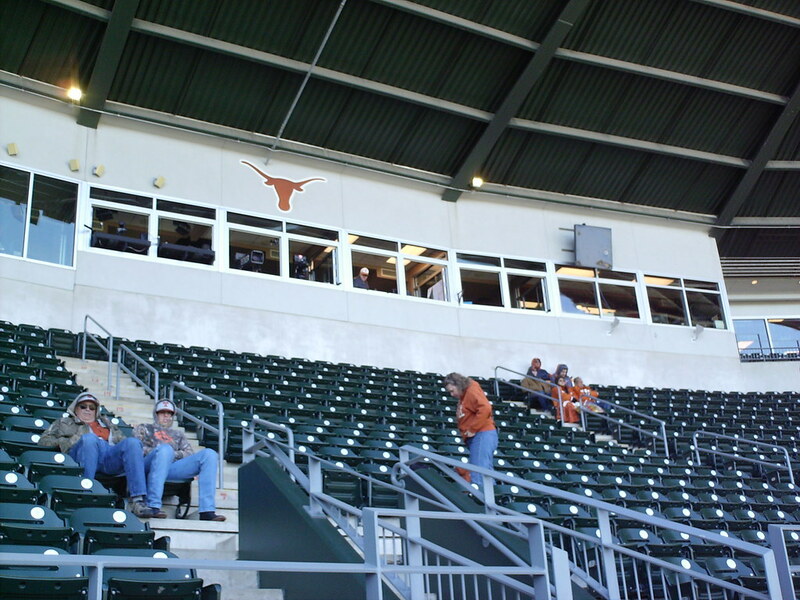 The pressbox behind home plate at Disch-Falk Field. 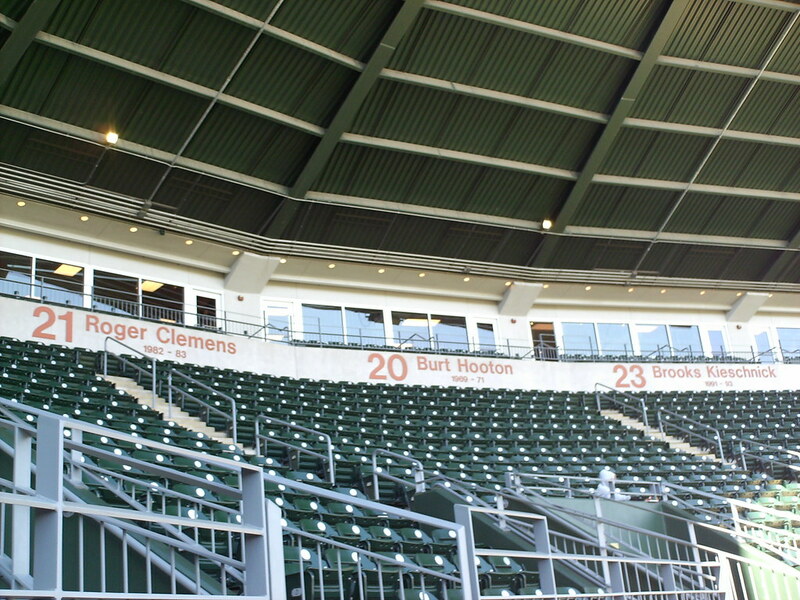 Longhorn retired numbers sit along the facade in front of the luxury boxes at the top of the grandstand. 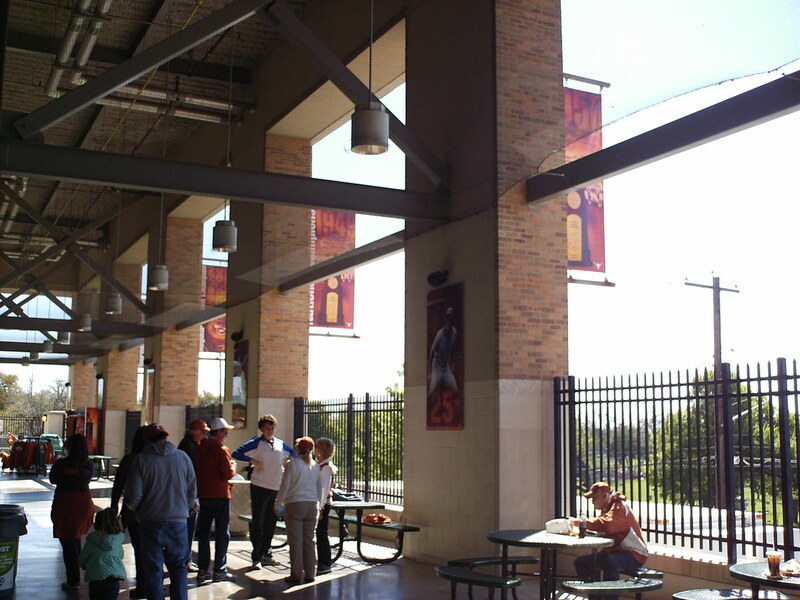 The concourse at Dish-Falk Field features posters on the inside of former Longhorn players who made the major leagues and banners along the exterior celebrating the team's NCAA World Series Championships. 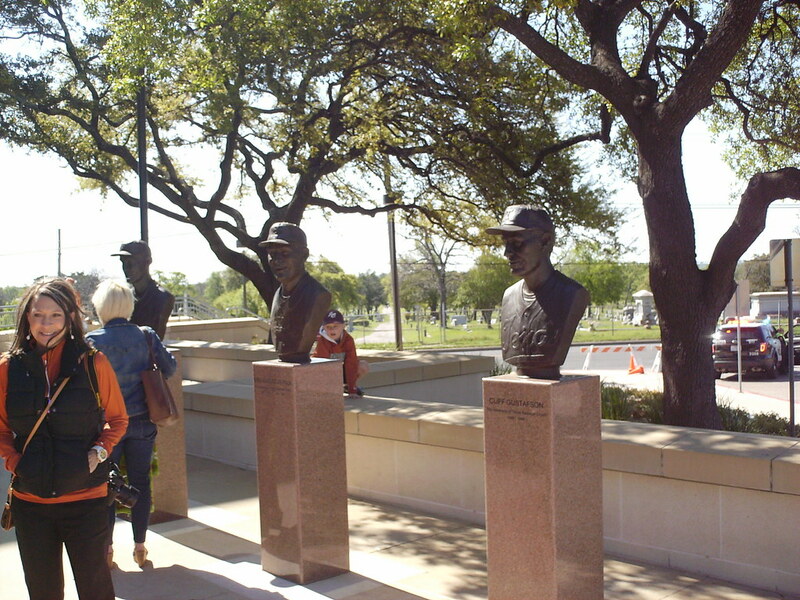 Busts of former Texas coaches, including Billy Disch and Bibb Falk for whom the park is named, sit in the entry plaza outside the ballpark. 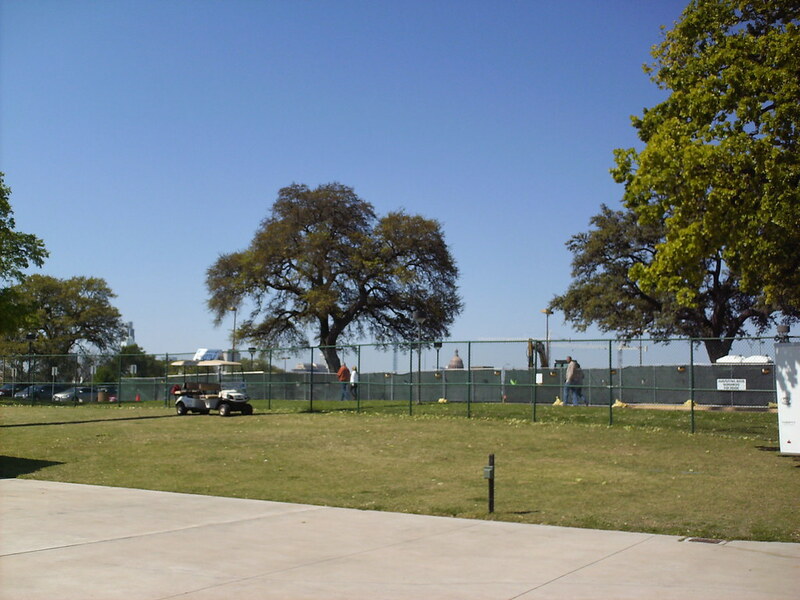 General admission seating extends out from the main grandstand down the line on each side of the park. 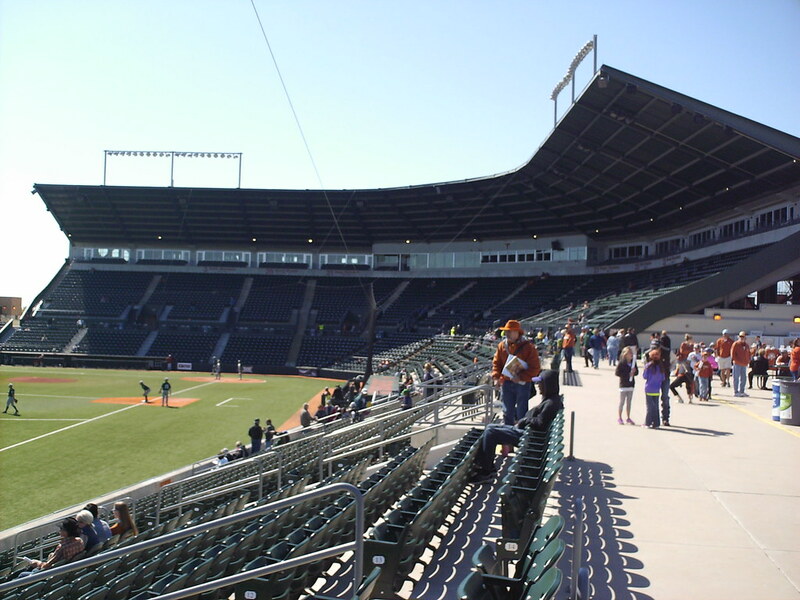 The seating sections down the line angle back to face home plate, meaning foul territory tapers off closer to the outfield corners. 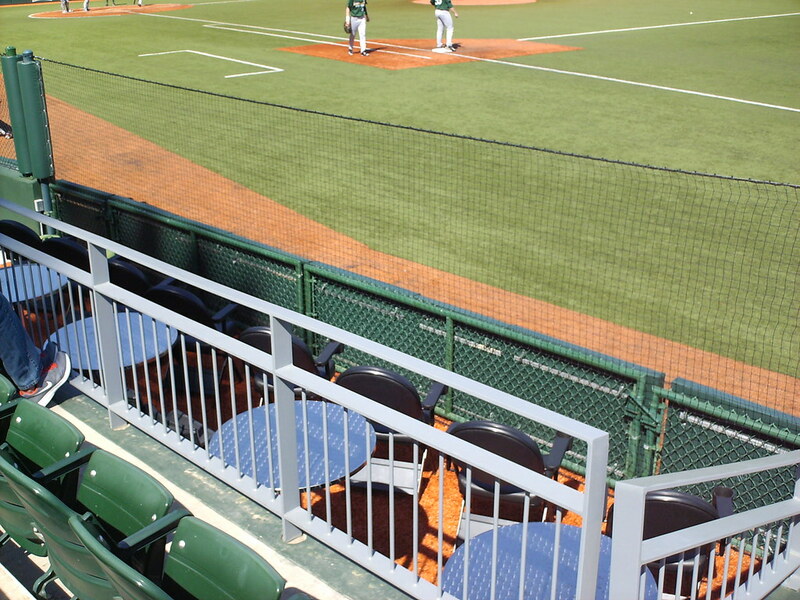 Dugout suites sit at field level, right next to the player dugouts on either side of the field. 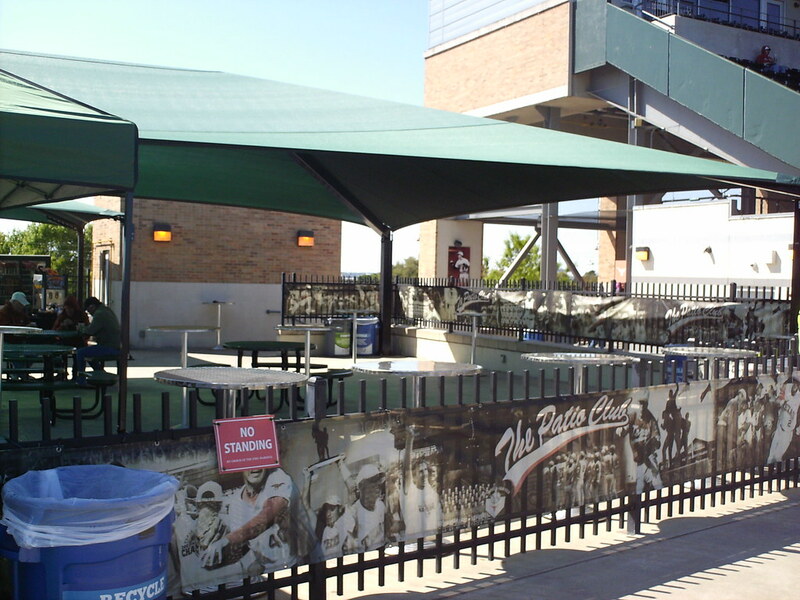 A covered picnic pavilion sits along the first base concourse. 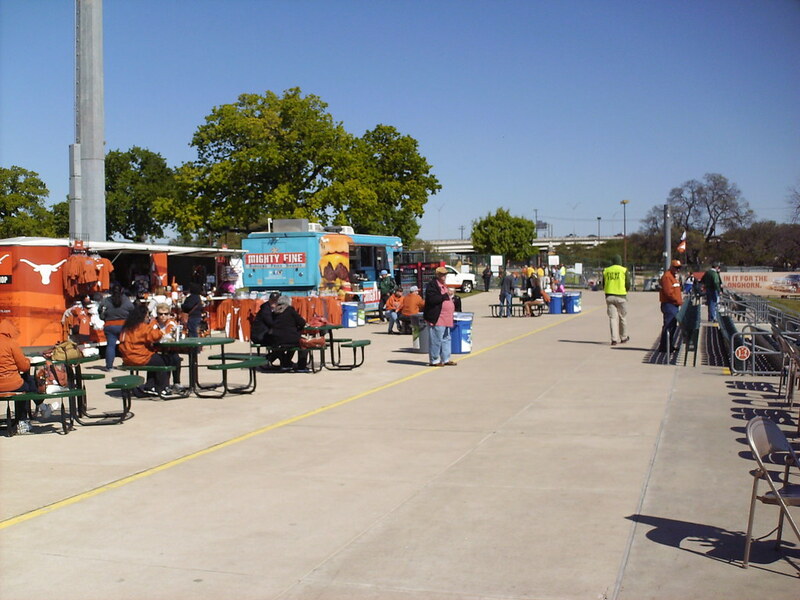 The wide third base concourse features picnic table seating and food truck concession stands. 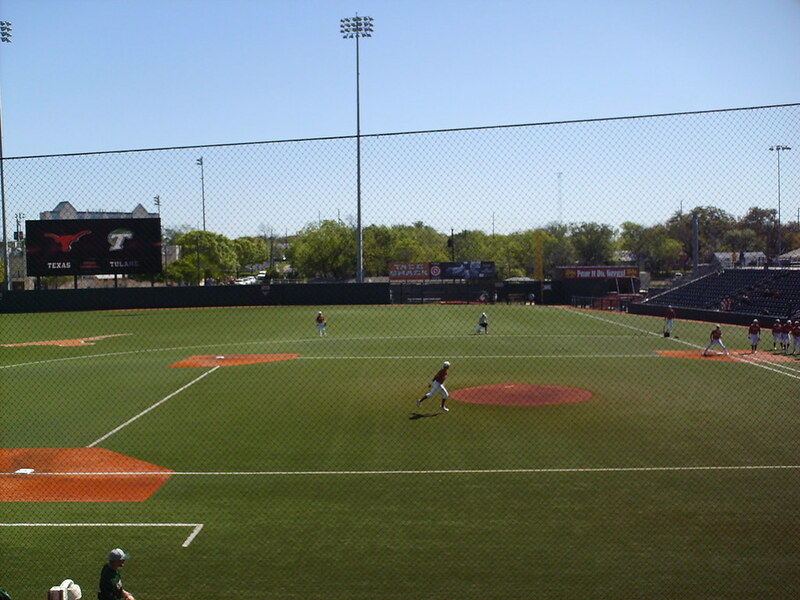 The Texas State Capitol dome is visible from the left field corner at Disch-Falk Field. 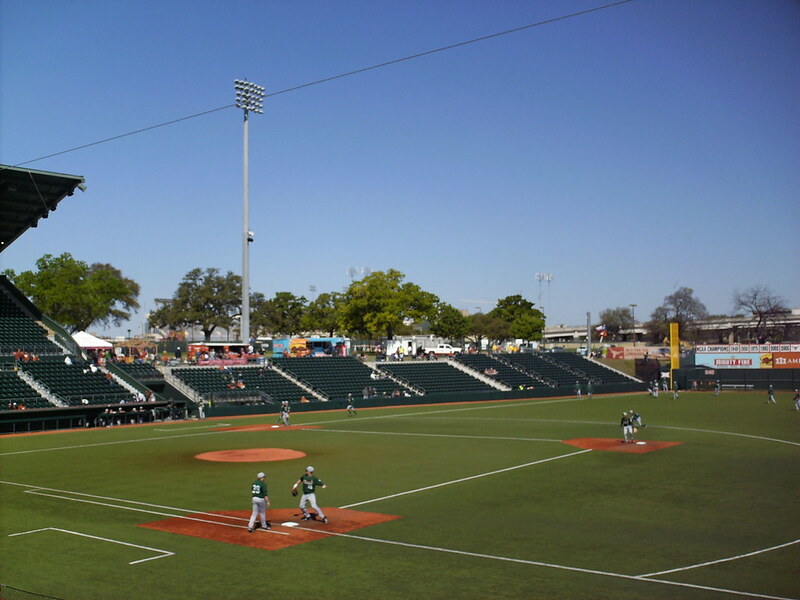 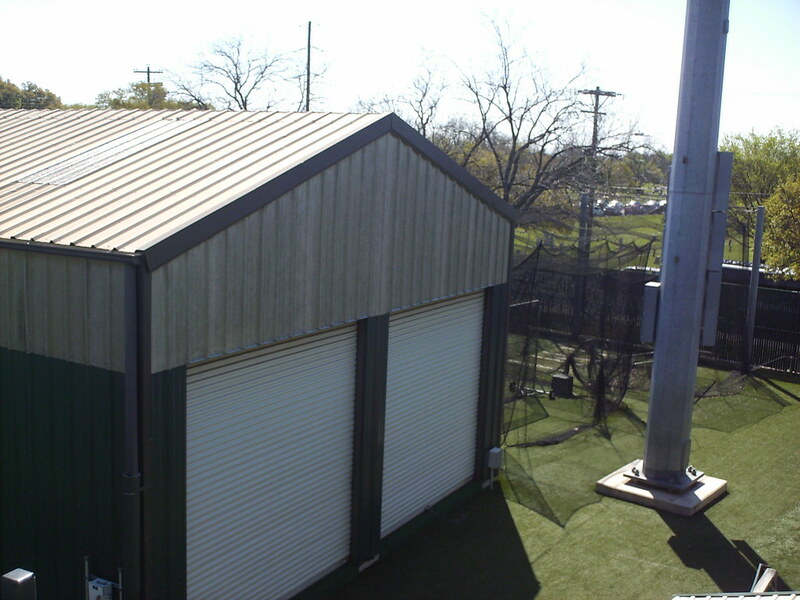 Batting cages sit next to the light stanchions beside the grandstand in the right field corner of the field. 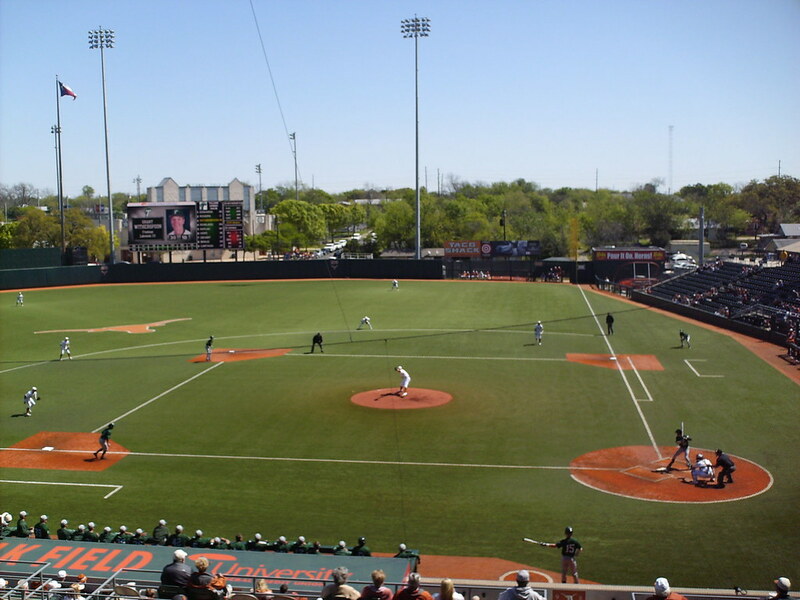 McCombs Field, home of Longhorns softball, sits behind the outfield wall. 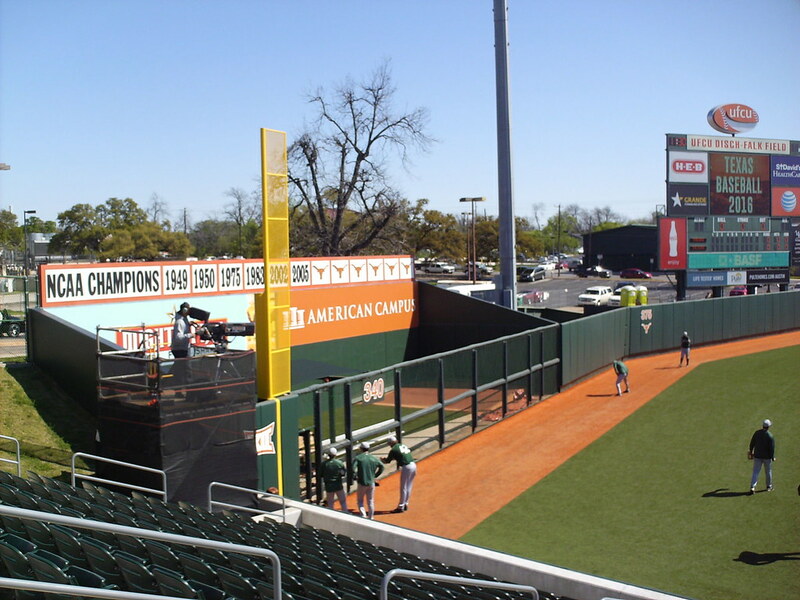 Groups of fans use mechanical lifts to watch the game from behind the fence in center field. 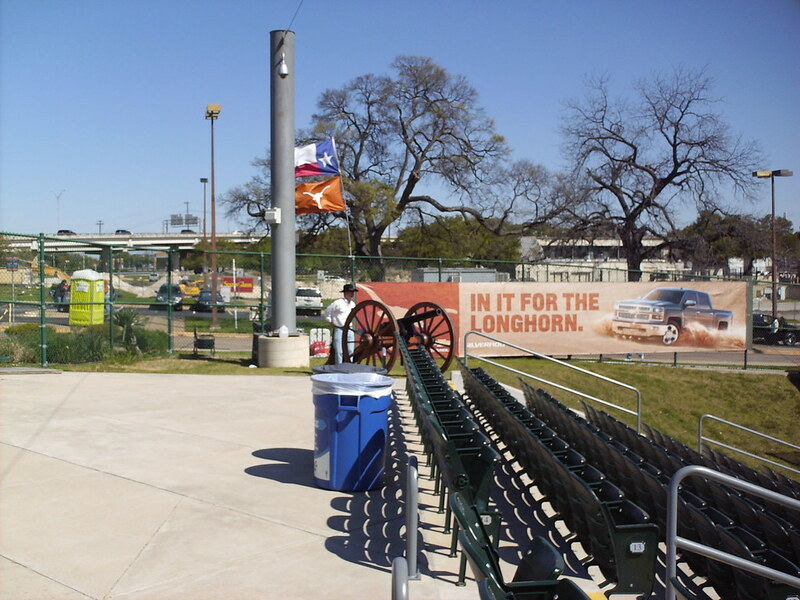 A cannon sits in the left field corner and is fired every time the Longhorns score a run. 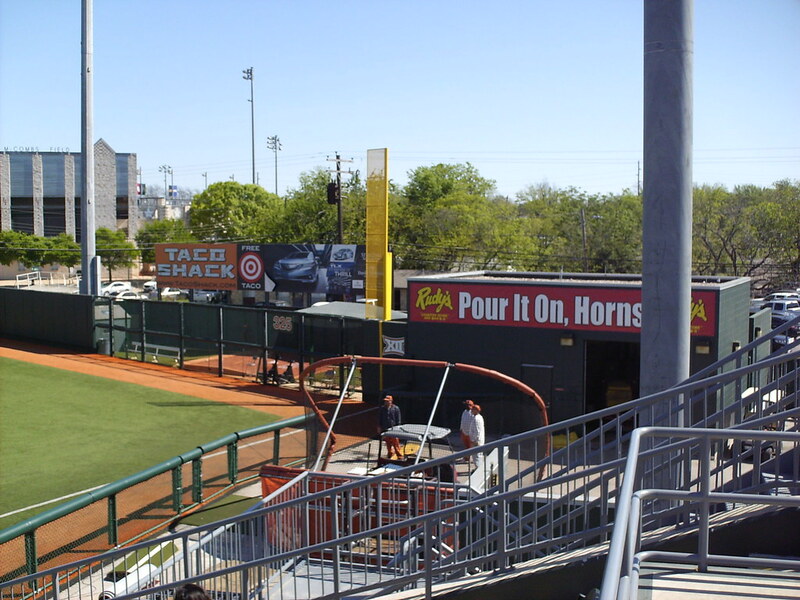 Signs behind the home bullpen celebrate Texas' College World Series titles. 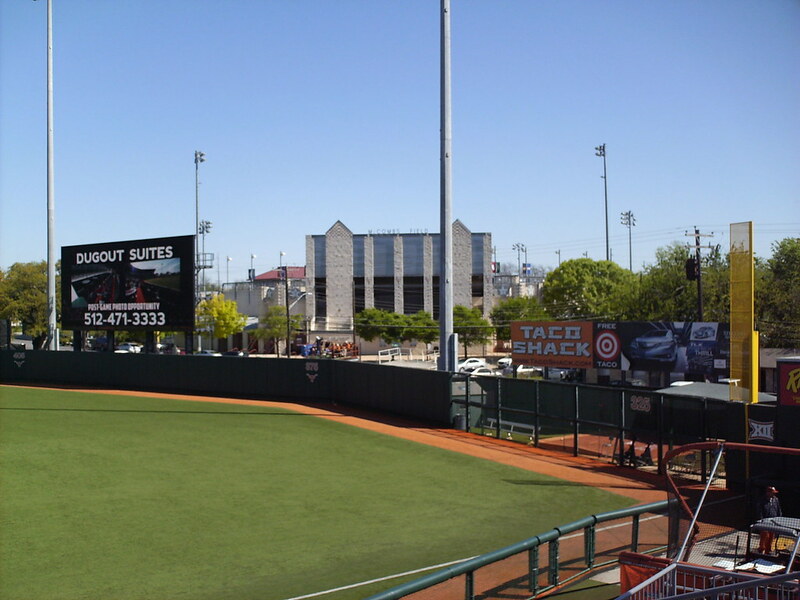 The fence in the right field corner sits 325 feet from home plate, 15 feet closer than in left due to the street running behind the outfield wall. 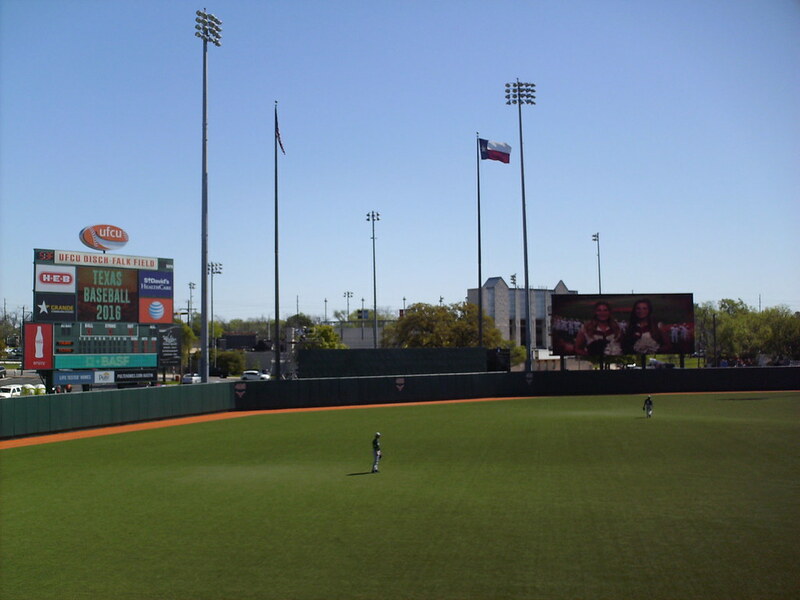 The scoreboard sits behind the left field wall, with a video board in right. 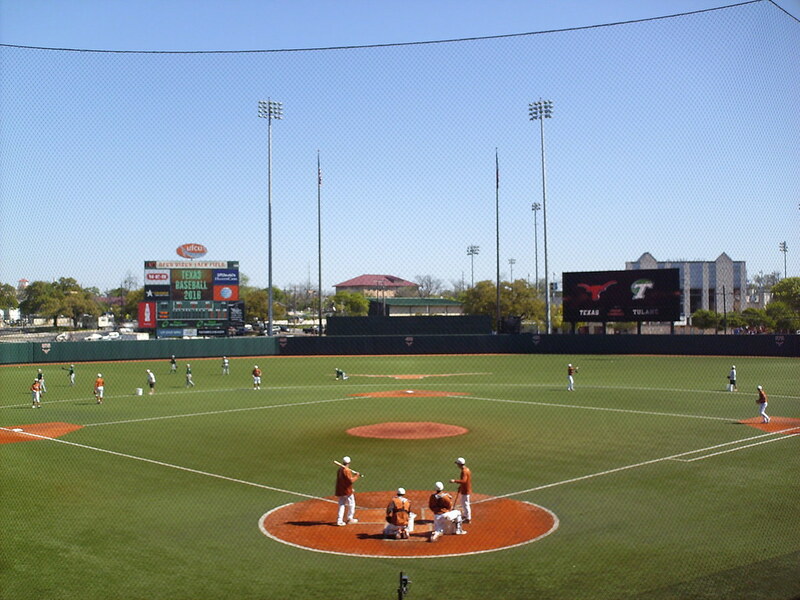 The University of Texas Longhorns on the field during a game at UFCU Disch-Falk Field.